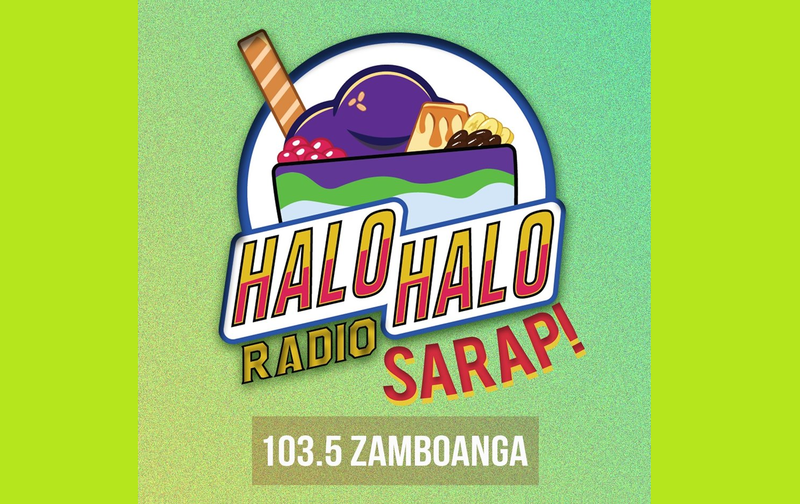 103.5 FM Halo Halo Radio is the newest FM station in Zamboanga City. It's former brands are 103.5 UE, Planet 103. Then it was under Viva and it rebranded to Oomph Radio back in October 2015. With a grand launching featuring the stars of Viva like JaDine. After a year, it went off the air and finally this May of 2017, it relaunched as Halo Halo Radio along with 2 other stations in Cebu and Davao. 100% pure OPM radio stations in Cebu, Davao and Zamboanga.Halo Halo Radio DXUE 103.5 Zamboanga. Telephone number, contact number for sales, inquiries, advertisement, adveritising rates, requests, dedications, greetings, Halo Halo Radio 103.5 FM number Call (062) 957 3431, email: halohalo.sales@viva.com.ph.The previous brand is DXUE Ultimate Entertainment, then branded as Mango Radio , is a music FM radio station owned by Ultimate Entertainment, Inc. in the Philippines. The station carried the CMN Spirit of the Philippines logo being under the Catholic Media Network. While, the Oomph Radio has already been discontinued as an FM radio network, Viva now adapted the brand into a local TV entertainment media company.